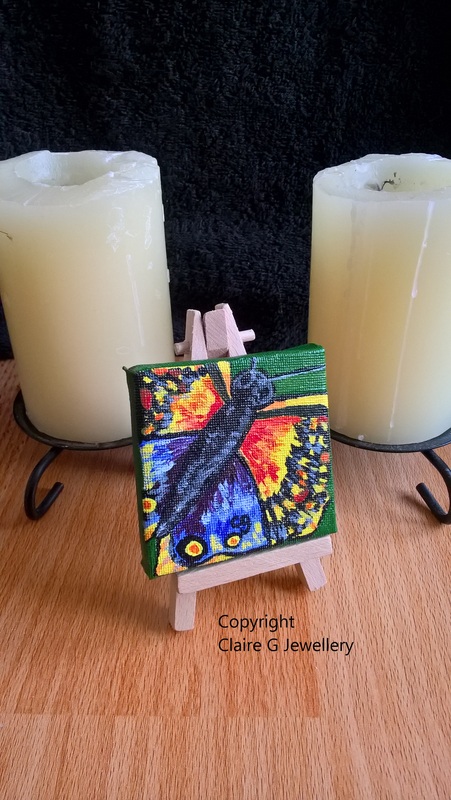 <\/u><\/b>This is a hand painted acrylic painting on a mini canvas with wooden display stand (as shown in the picture.) It is a colourful close up of a butterfly with various yellow, orange and blue tones. This would be great for someone that likes butterflies, animals or just nature pictures in general. 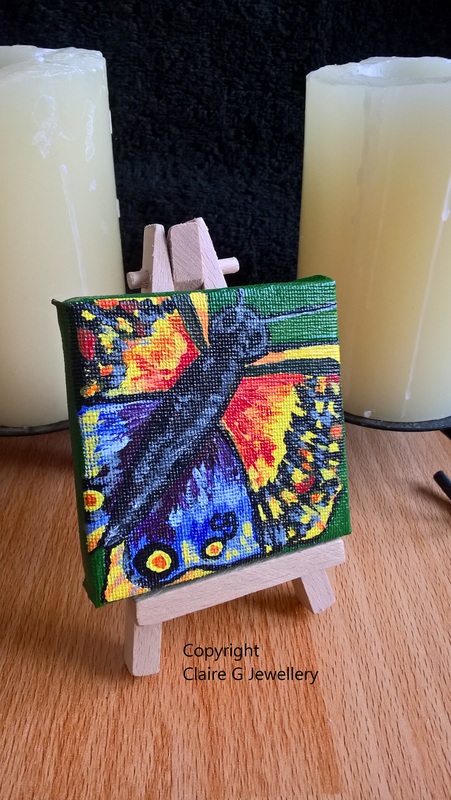 It is a one off original and perfect if you would like to buy some artwork but don't have much space to display it, or just want a little something for a birthday gift or special occasion for a loved one. Main colour\/s of painting<\/u>: Yellow, Green, Orange, Blue, Black, Grey, White and Peach. 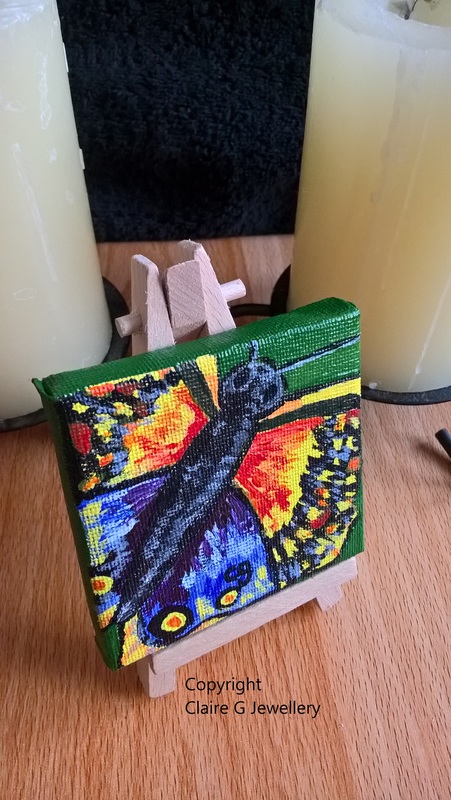 This is a hand painted acrylic painting on a mini canvas with wooden display stand (as shown in the picture.) It is a colourful close up of a butterfly with various yellow, orange and blue tones. This would be great for someone that likes butterflies, animals or just nature pictures in general. 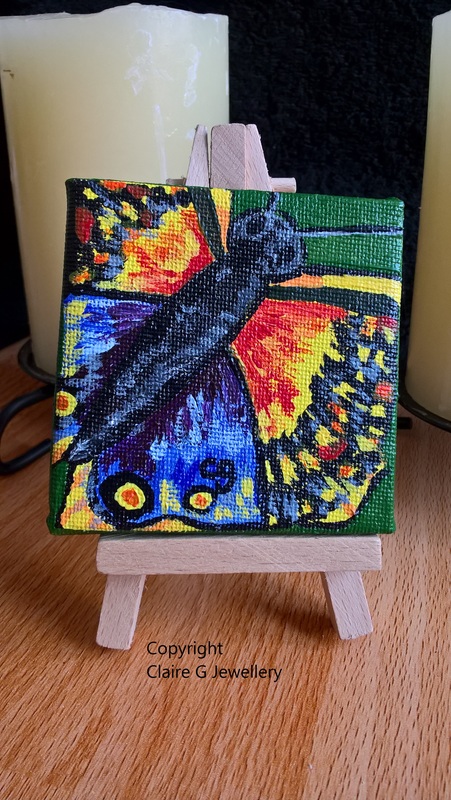 It is a one off original and perfect if you would like to buy some artwork but don't have much space to display it, or just want a little something for a birthday gift or special occasion for a loved one. Main colour/s of painting: Yellow, Green, Orange, Blue, Black, Grey, White and Peach.